Fisherman’s Bastion is a must do for first time Budapest visitors, and especially for those who like historical and romantic things to do when on a holiday. 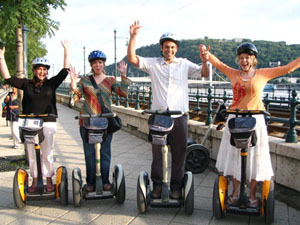 According to many Budapest guides, locals and tourists, the panorama bastion is one of the top Budapest attractions, and visiting this beautiful sight is undoubtedly a must do, in fact one of the top ten things to do in Budapest. 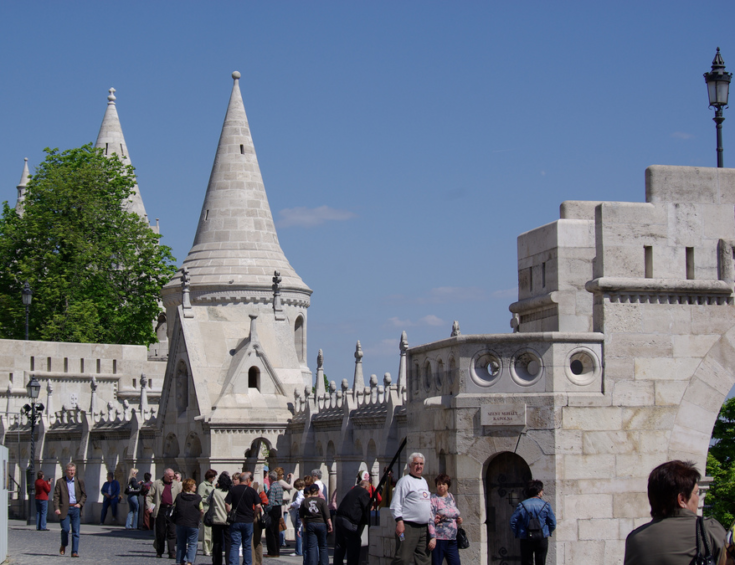 The white walled mock fortification called Fisherman’s Bastion (in Hungarian Halaszbastya) was built in the 19th century as a lookout tower, never used as a fortification. 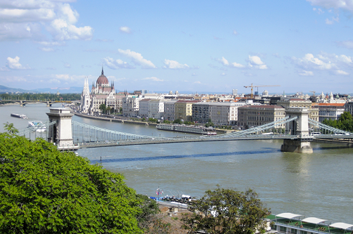 The bastion is located on top of the Buda Castle Hill, offering one of the best panoramic views in Budapest by day and by night. 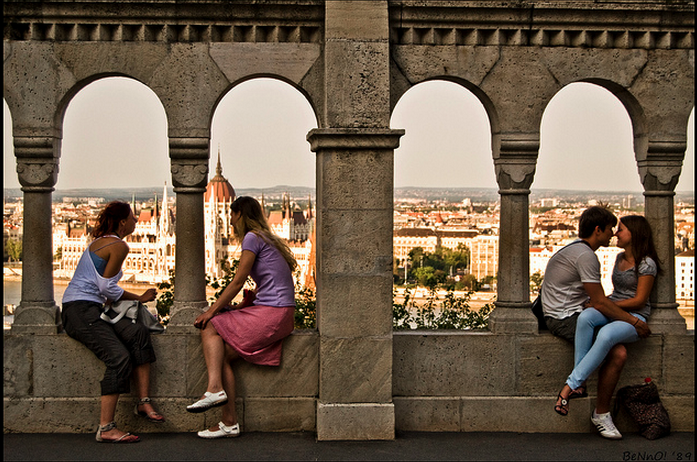 The bastion is open all day, and has some arcades and balconies to take perfect photos from, to sit down, enjoy the romantic Budapest sights, or just enjoy the picturesque scene of the Pest side of Budapest. In addition to the free balconies and ramparts, there are some fee paying turrets and terraces too. 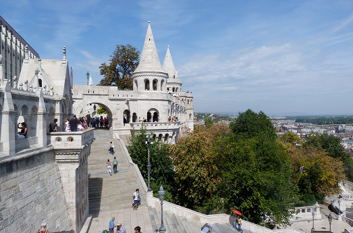 The Fisherman’s Bastion is called Halaszbastya in Hungarian in literal translation. 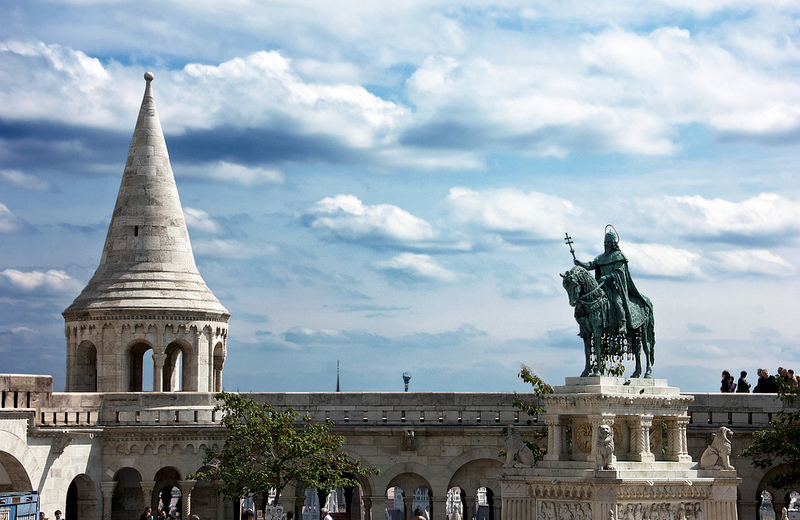 This place atop the Buda Castle Hill was indeed guarded by fishermen of the river Danube in the old days. 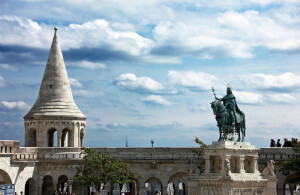 The seven white turrets of the Fisherman’s Bastion represent the seven tribal leaders of the Magyars, the Hungarians chieftains led by Arpad. 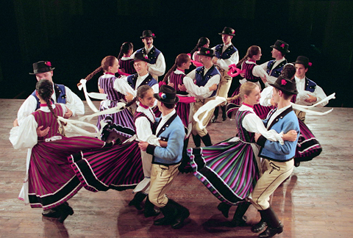 The chieftains led the Hungarians to the Carpathian basin in the 9th century, when after many centuries of wandering, the tribes eventually settled down in present day Hungary. The first king of Hungary, Istvan the first (St Stephen I) was crowned king in 1000. His statue is also part of the Fisherman’s Bastion complex, along with the Gothic church named after King Matthias, the Matthias Church. 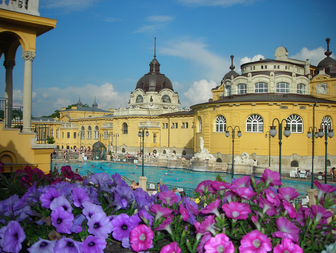 Currently a good part of the Fishermans Bastion is rented by the restaurant and cafe called Halaszbastya.